In this article, Sarah Bas Avraham talks bbq and the perils of keeping kosher in rural Virginia. 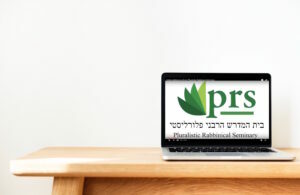 Interested in kashrut and kosher recipes? Make sure to also check out our kosher recipe blog! I’ve been moving into a new dwelling. This is hard work in all respects, physically, mentally, emotionally. I was lucky enough to have a good friend who recruited some of her friends who helped with the physical moving part-all for the price of a case of beer and some gas for their truck. Much more fun and much less expensive than hiring professional movers. We moved the morning after Yom Kippur. I hadn’t expected to move that day, but my friend called and said she had the truck and friends, so we did. I was still in shock after they left, as I looked around the boxes that filled the small space of my new apt and realized I was very hungry. I had NO food in the house. I knew there were several restaurants in the area, including one that had been tantalizing me all morning: The Bonefire. This is Abingdon’s newest and only barbecue restaurant. I found myself drawn to the doors. I had heard friends rave about their cornmeal fritters so told myself that I was only going for them. Right. I got in there and was utterly completely lost to the lure of barbecue. I did not totally succumb-no rack of ribs. Instead I found myself devouring a very good barbecue chicken sandwich (with the hot-q sauce) and a side of the famed cornmeal fritters. I went home in a ‘que high.